Breastfeeding, Work, and the Law: What Are Your Rights? Forty-nine states and DC have laws that allow women to breastfeed a baby in any public or private place (come ON, Idaho!). 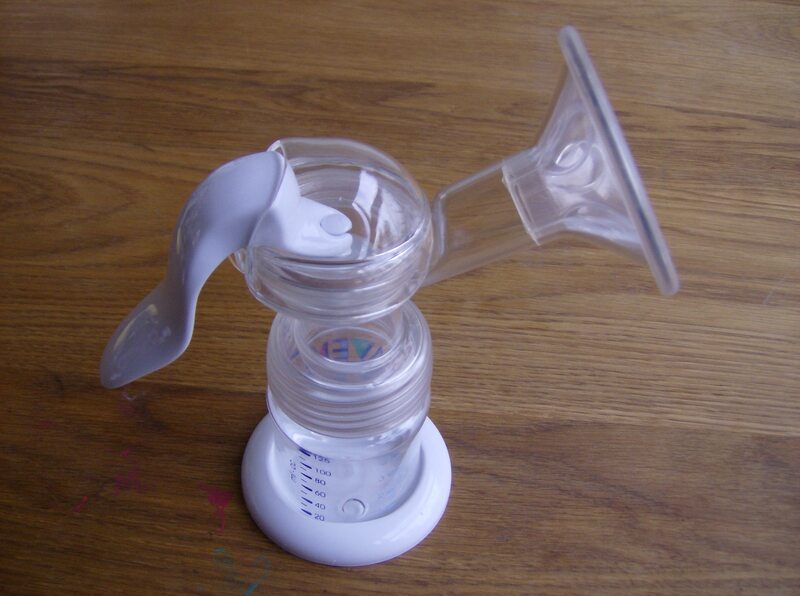 But when it comes to bringing your breast pump to work, the picture gets much more complex. Many new mothers who are returning to work assume that it’s their legal right to pump at work, but it’s not quite that clear-cut. I’m not an employment lawyer, and you should consult one if you have concerns, but I’m going to break this down for you from a layperson’s perspective. There is a federal law that gives some working mothers the right to pump on the job. It’s part of the Affordable Care Act, otherwise known as Obamacare. The Fair Labor Standards Act (FLSA) has a provision called “Break Time for Nursing Mothers” that outlines who is covered, and how. That federal law only covers federal employees and “non-exempt” workers. Federal employees is pretty simple – people who work for the federal government. That “non-exempt” thing is more confusing. It generally means employees who are eligible for overtime pay if they work long hours. (Exempt employees, on the other hand, earn a salary and are in “executive, supervisory, professional, or outside sales positions.”) Long story short: if you earn an hourly wage, you’re probably non-exempt, and covered under this law. If you earn a salary, you’re probably not covered. The federal law applies to all businesses, no matter the size. There is a common misconception that businesses with fewer than 50 employees are exempt from the FLSA provision. That’s not true. If small businesses want to become exempt, they have to show that compliance would cause “undue hardship” – in other words, the onus is on them to prove that they can’t do it. The federal law does not require employers to pay new mothers for break time used for pumping. However, if the employee uses her already-compensated break time to pump, she gets paid. And if she is not “completely relieved from duty” while pumping, she gets paid. The federal law does not specify how many breaks, for how long. The federal law states that a bathroom is not a suitable place to make an employee pump. So that’s federal law: not for salaried workers, but covers small business employees, and excludes bathrooms as a suitable lactation room. If you feel you are covered under federal law, and your rights are being violated, you can contact the Department of Labor’s Wage & Hour Division to file a complaint. The FLSA states that your employer cannot retaliate against you for filing a complaint. Not every state has enforceable pumping-at-work laws. As of this writing, only 27 states, plus DC and Puerto Rico, have any workplace pumping laws – and some of those laws, much like your new baby, are entirely toothless. You can find a comprehensive list of state laws here. Many states that do have pump-at-work laws don’t specify that a bathroom can’t be used. If you feel you are covered under state law, and your rights are being violated, contact your state labor office for help. The final step in understanding this complex picture is looking at your own employer’s policies. Some employers have even better policies than the federal or state laws. Ask to see your employee handbook, or, if you feel comfortable with it, ask your Human Resources representative directly whether the company has a workplace lactation policy in place. If they don’t, you might offer to help draft one! Pumping at work is not easy, and it comes at an already stressful and vulnerable time in your life. It doesn’t help that working mothers are not universally protected to make food for their babies. You’re going to do your best, and I hope you don’t sweat the bumps along the road. Some employment situations make it virtually impossible to pump at work, and if that happens to you, I hope you remember that you’re a great parent. And if your employer is awesome about pumping, make sure to praise them loudly and often – it’ll help keep that workplace culture in place for the next working mama to come along. Jessica Shortall is the author of Work. Pump. Repeat: The New Mom’s Guide to Breastfeeding and Going Back to Work (Abrams, 2015). She is also a vocal advocate for paid parental leave. You can find her on facebook, twitter, and Instagram.